Coaching will develop your abilities, experiences, and professional relationships to lead a self-assured life by learning new habits and stop overthinking and get unstuck. For the past five-plus years, I’ve been working as a personal and professional coach, helping individuals, teams, and organizations get more out of themselves and their lives. I’ve worked with people in the salon industry, entrepreneurs, leaders, executive directors, the military, university personnel, nonprofits, manufacturing, and people in the medical and service industry. What they all have in common is something you have as well – a connection to a deep inner wisdom that permits an incredible creative potential to come forth in everything you do. When you are in touch with your inner wisdom, you become a person with extraordinary abilities to creatively engage with life in a whole new way. You begin to understand HEART: Human experience, Engagement, Alignment, Relationships, and Trust; this is where you will find emerging possibilities. Traditional leadership and life coaching are about learning how to live and lead a more self-assured life. A more self-assured life is accomplished by integrating new habits that help you navigate overthinking and stand tall in the face of overcoming obstacles. Coaching offers the opportunity to explore your uniqueness. When you discover your unique giftedness, magic happens; you become unstuck, more energized, freethinking, engaged, successful; and transformation can be achieved – successful transformation on your terms. The more conscious you are about who you are and who you want to become or what new direction in life you want to take, the more your chances for a successful free flowing transformation increases. And, you can create opportunities to contribute to the lives of those around you in ways that are the most meaningful and fulfilling to you and others. Another important aspect to coaching is the personal yet professional relationship between you and the coach, a relationship built on trust. This relationship helps you unlock your hidden potential, bridge gaps between where you are now and where you want to be, and helps you build a signature presence based on your values, passion, creativity, emotion, and discerning judgment. Presence means building and supporting your tolerance for situations many people avoid; presence also helps you develop backbone and heart. Coaching provides valuable feedback essential to progress. It is completely confidential and judgment-free, allowing you to excel at your own pace while achieving the extraordinary results you want now. My professional coaching services and action coaching creates a space where personal alignment begins to shift and real change happens. You’ll begin to think big by getting out of your head and into your life, where possibilities emerge. They are delivered through face to face, phone or Zoom coaching intensives. As an additional option, you can choose to include ongoing text or email access. If you’re already making a difference or you are ready to step up, find your voice, and make an impact in your life or the world, schedule a free coaching intake interview. Get your NO-FEE Clarity Session! 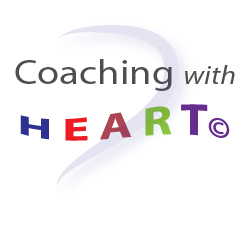 When you develop your abilities, experiences, and professional relationships you become a person with extraordinary abilities to creatively engage with life in a whole new way; this is what coaching with heart is all about. Why Might A Leader Or Professional Need Coaching?